lol...you put your hands up???? Gosh! you miss a good thing girl!! Relatively, Thai cuisine fits many Malaysian taste. Many claimed they have tried Thai cuisine. Little that many know the Thai food they eaten is not authentic taste of Thai's. 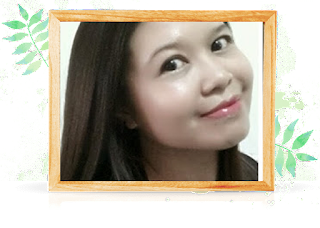 How to describe Thai food taste? 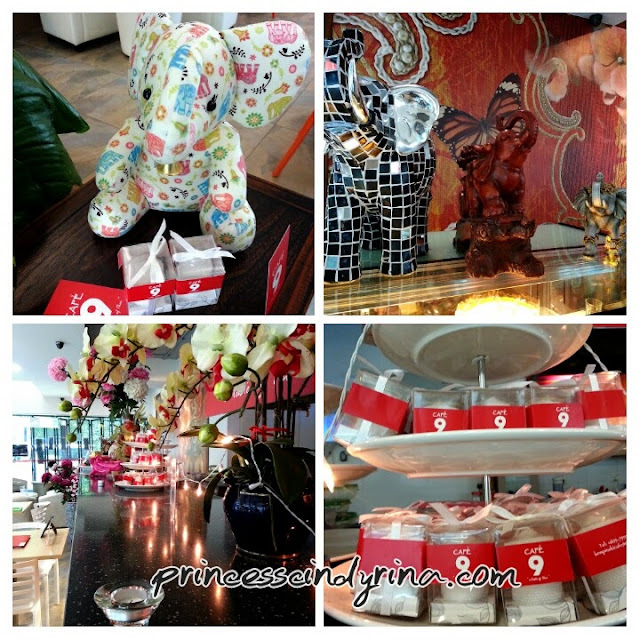 I was invited to try out authentic Thai's food at Cafe 9 at Petaling Jaya, Selangor. Seriously, when I was told the cafe's name is Cafe 9...the first come into my mind is Latte, Pastries , Cakes and anything that suit a Cafe food and drink. 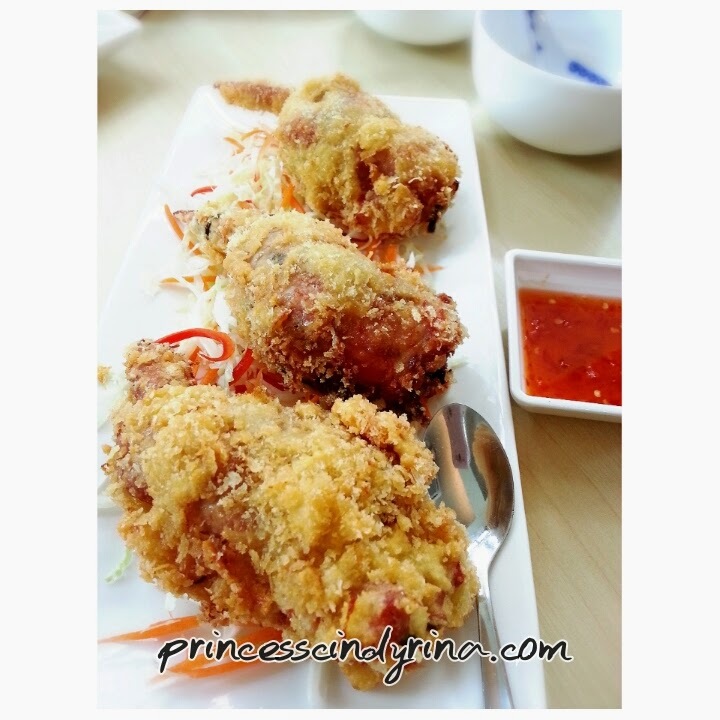 Then when Stella from Foodink told this is Thai food...I was like...mmmmm...beyond my expectation! 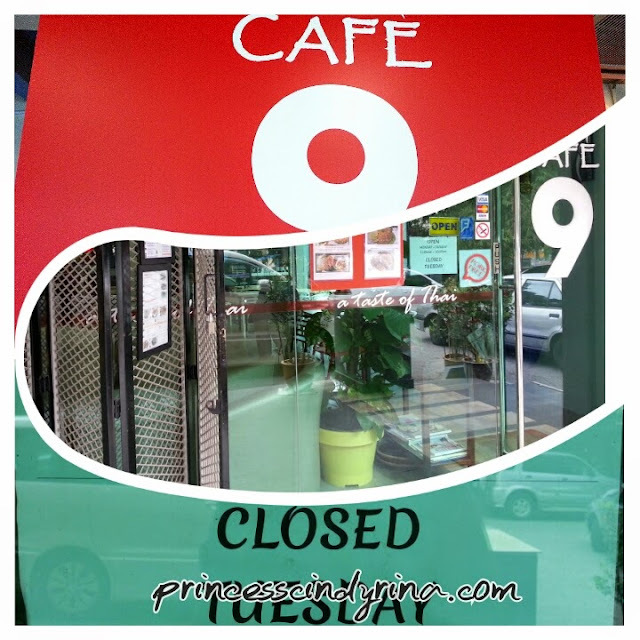 Cafe 9 and the '9' is a symbol of 'Eternity' and 'Forever' in Chinese. 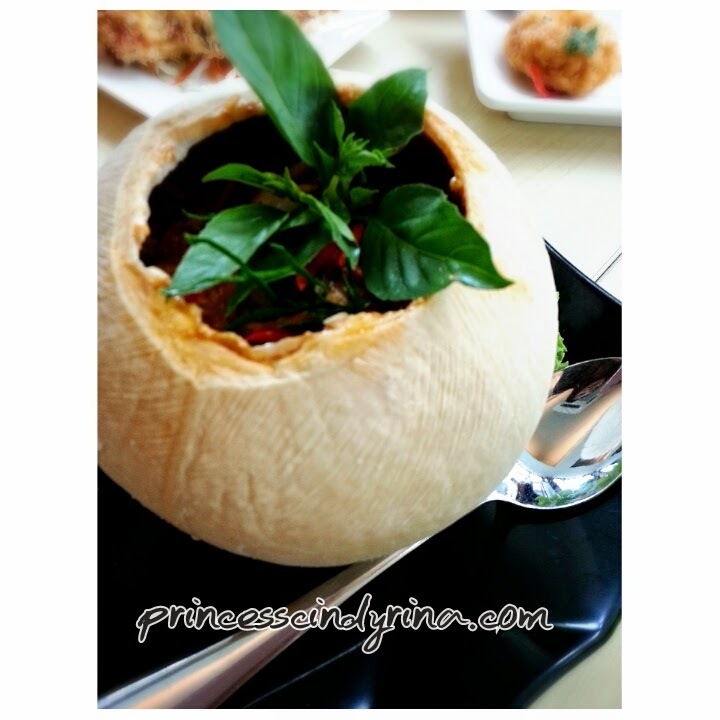 The owner use the number for customer easily remember when they want to eat good authentic Thai Cuisine. 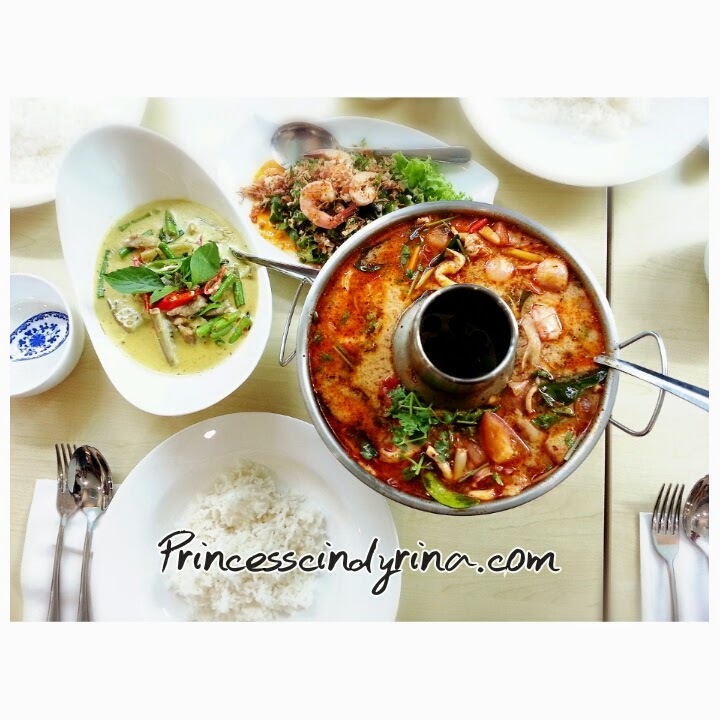 You can choose either the RED or CLEAR soup and can opt for just prawn or seafood. 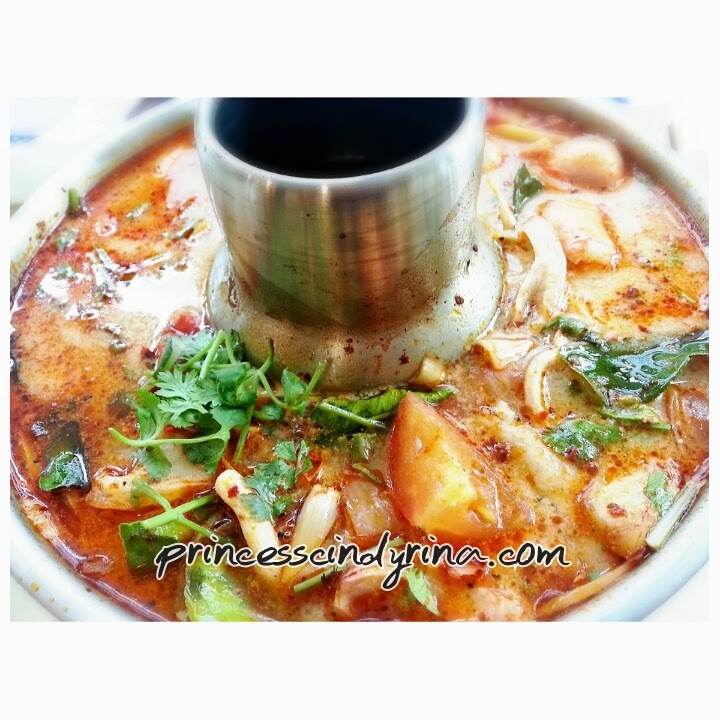 I love thick and spicy taste and this tom yam soup is full of good herbs and totally authentic Thai Style. One can taste the galangal , lemon grass and other herbs. I will come again to eat this if Chingu can take spicy food. 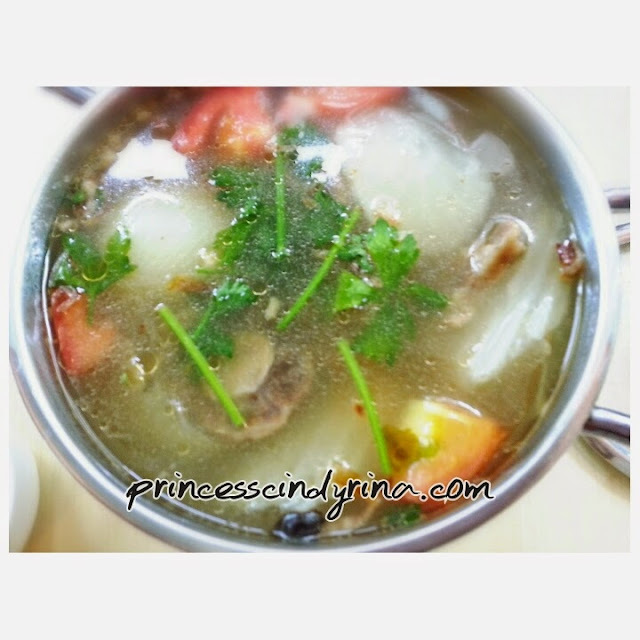 We were serve with seafood tom yam. 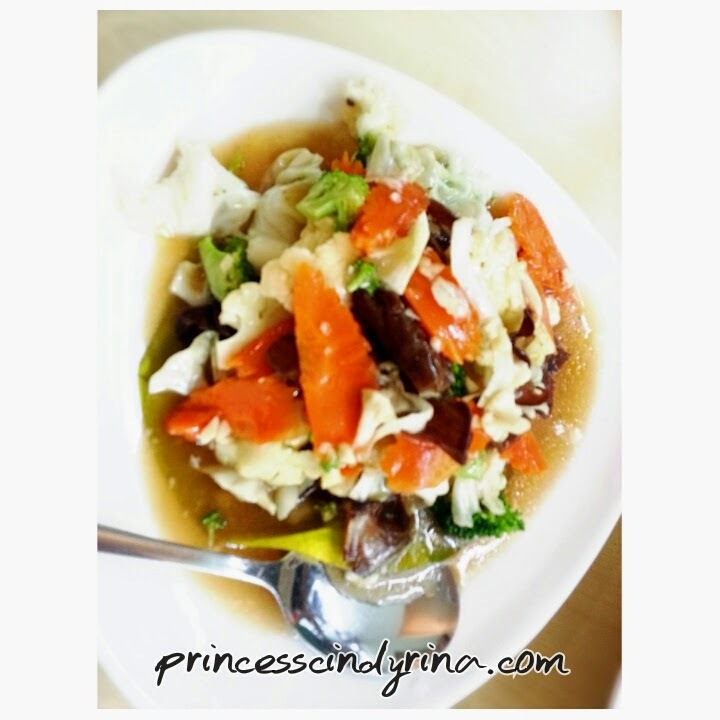 Chicken and mix vegetables such as brinjal, long bean cook in thick green with coconut gravy. 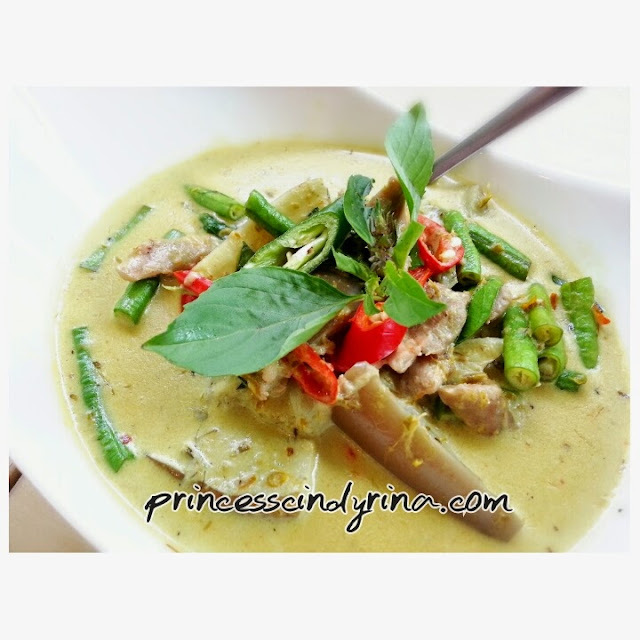 You Thai food mission is not complete without trying the Green Curry. You need more explanation for taste...go and try it yourself. 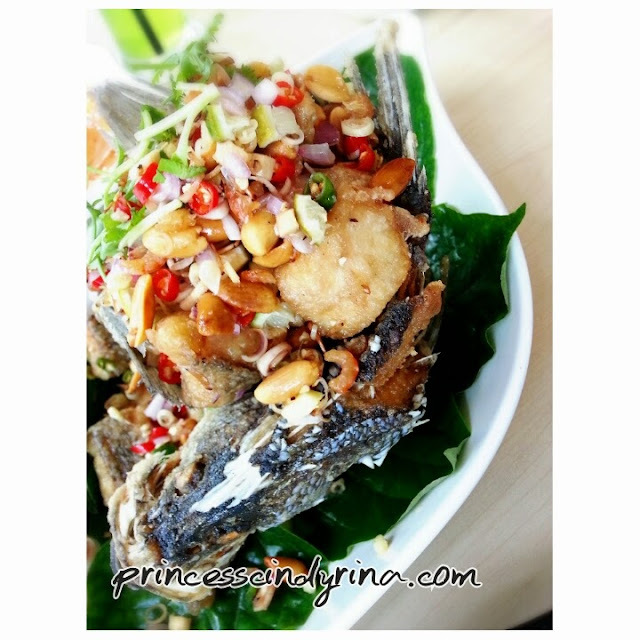 I love the combination of garlic, chilli padi, triangle bean and prawn. Spicy? Its not Thai food if not spicy. One minus point is they top the dish with ready made fried shallots which I hate the most. Other than that, I would order again if I visit them again. 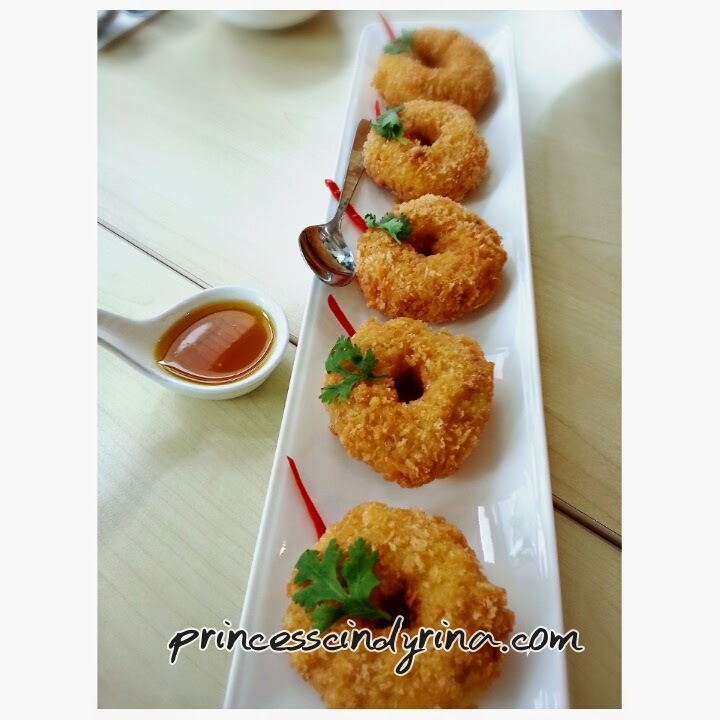 Its another thick coconut with curry powder gravy. I can eat this elsewhere. This is my all time favourite. I even thought of 'tapau' the left over gravy to eat with bread. 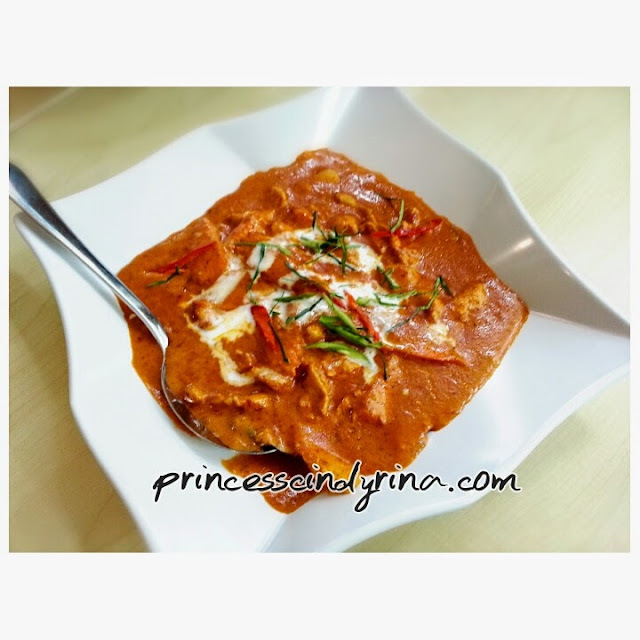 Its spicy and love the spices taste of this thick coconut gravy. You taste once and I know you fall in love with it just like me. 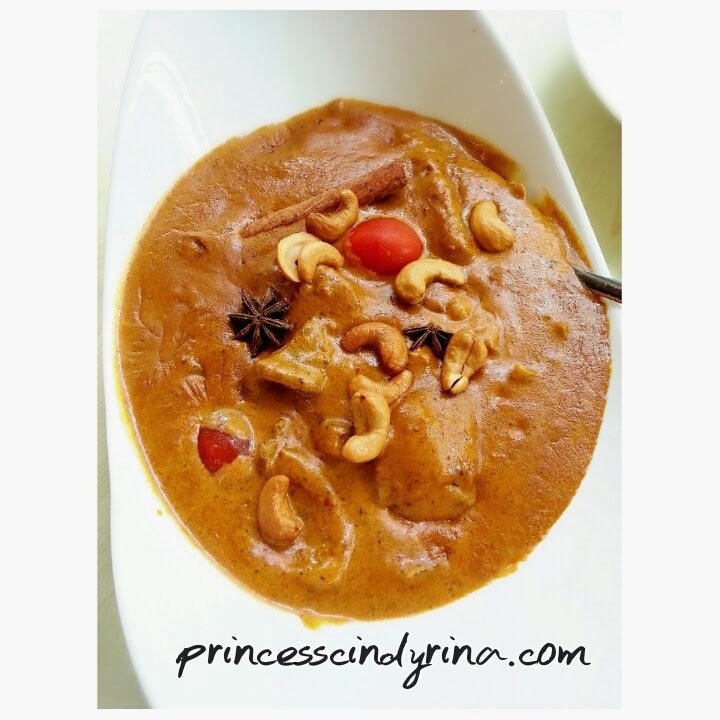 I love the way they top this curry with cashew nuts which gives to 'die for' aroma. Looking at this photo while writing this post is enough to make me wanna eat this again. Boneless chicken wings stuff with glass noodles and veggies. Not very appealing to me but if love something different than normal fried chicken you can order this one.Eat it piping hot! You will wake up with this dishes. 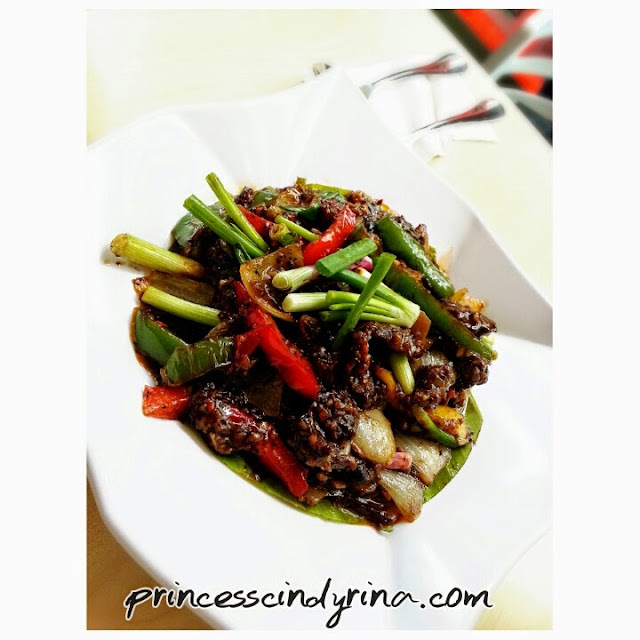 The black pepper taste will linger in your mouth even after you done with this dishes. I love this dishes. 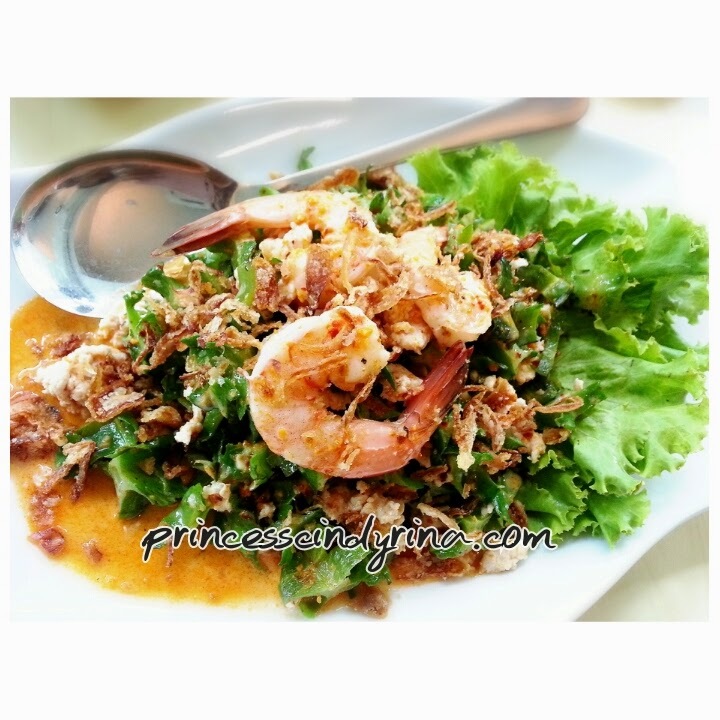 It look simple and less complicated to prepare but yet so good to eat with hot thai fragrance rice. Just a normal mixed vegetables stir fry and thats all. Nothing special about this dishes. Cafe 9 Thai only use bigger sizes fish to promote family dining. 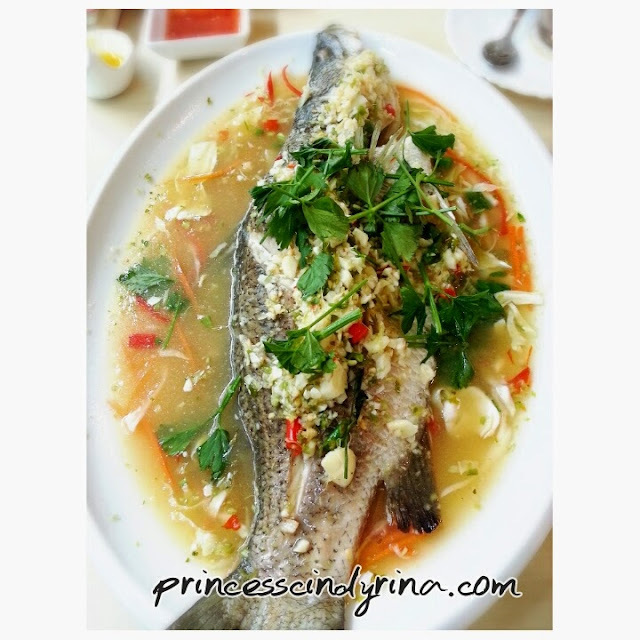 Steam Seabass in sour lime and spicy sauce. One of my favourite to eat hot with Thai Fragrance rice. I highlighted to the owner that he need to cook it with more Malaysian taste because I find the taste is too light and something that I don't feel so satisfying. Its not the dancing fish shape like the one I ate in Vietnam or Indonesia. This deep fried fish meat was cut into bite size and top it with sweet and spicy sauce on it. Kind of unique taste and something worth to order as a highlight to your meal. I love the taste because it really feel like eating the real Thailand food here. Cafe 9 Thai pledge Quality and Quantity for each food serve to their customer. 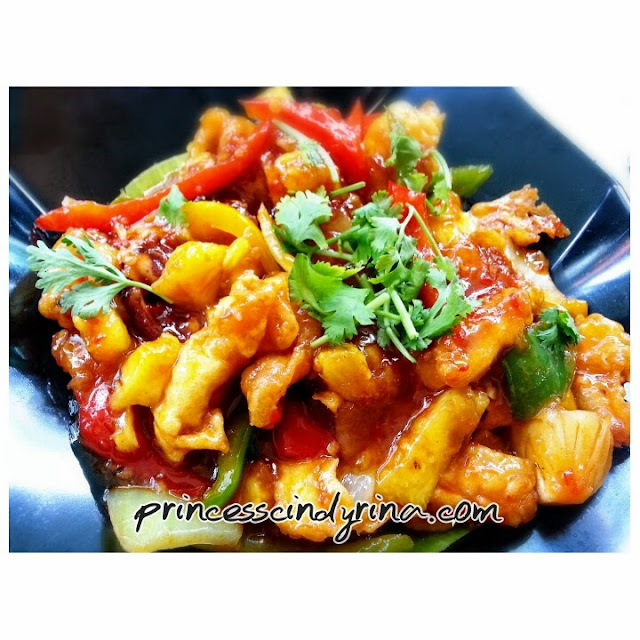 The quality of every dish before serve to customer and the portions are relatively big and fresh. Yeee....sedapnye. The prawn cakes look gorgeous!